-- Now featuring 35 new rooms! -- Duo and Trio play modes and Titles have been added. Drink Shops and Recovery Pods have been added to Interval Areas. -- Stage Orders change dynamically based on the number of players. --- S1:Erosion of Power: Grant a 25% chance to inflict the Jellen status when attacking an enemy. --- S2:技巧縮減: Reduce PP consumption for 30 seconds upon hitting with a PA/Technique. Has a low chance to grant amplified effects. Triggers Recast upon activation. --- S3:撃流の備: Decrease damage taken by 1% for every 300,000 damage dealt. Maxes at 15%. --- S3:撃流縮減: Decrease PP consumption by 1% for every 300,000 damage dealt. Maxes at 15%. --- S3:撃流の功: Increase Critical Hit Rate by 2% for every 300,000 damage dealt. Maxes at 30%. Yamato Factor is still too expensive! -- Yamato will return to the schedule in EP6! Furthermore, Yamato Factor's drop rate will be permanently enhanced! Where's my Evleda Unit upgrades, SEGA? You've postponed them three times already! -- Due for EP6! The upgraded Units will be revealed in Summer! Why can't I eat Chocolates and Donuts at the same time? Stomach cramps? -- The ability to eat Seasonal Food (like Chocolates) and Event Food (Donuts) at the same time will be added in White Day. Support Fire doesn't work, SEGA! Fix it! Tier 7 Graphics? I want Mother to be so stupidly bright that I go blind! -- Unfortunately, Tier 7 is not being considered for EP6. -- Zalure will not be implemented since Weak Bullet more or less takes its place. Who's crazy enough to make Returner V 7s? -- 9 people! No one has made Returner V 8s yet. Who has Forever Loner? Is it more GU/FIs that overwhelmingly dominate the meta? -- Yes! 29 players have Forever Loner; 24 are GU/FI, 4 are Hero, and one is FI/HU. 1100 Titles sounds difficult for a new player! How many can we get now? -- A player who is just starting out will be able to get approximately 1400 Titles. Stop teasing us and tell us when EP6 is! -- EP6's release date will be announced on March 10th! -- Persona's Unit drop rate is identical on both Super Hard and Extra Hard difficulties. The main difference between the two are weapon drops. -- Under consideration, but if they are implemented, they will be introduced gradually instead of all at once. Can I get Coat Barrel and Coat Talis anywhere else? -- Not for now, but other ways to get them will be implemented later. -- No plans at the moment. -- When obtaining a Bonus Key from the Team Shop, the expiration date of the Key is set upon acquisition rather than purchase. -- Abend Rose [Ba] has a transparent back. -- You can tell where a Wurmritter is burrowing if you walk over the location where it dove underground. -- You can access the turret terminals in Urban even if you are in Dark Blast. -- Weak Stance does not apply to DF Persona's mask until the mask becomes cracked, even if WB is applied. Once the mask is cracked, Weak Stance becomes applicable if WB is applied. 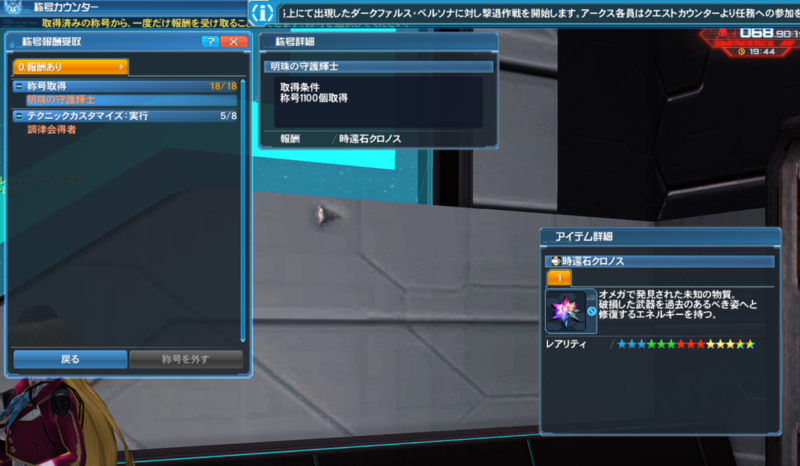 -- If you have a weapon with Formchange, Weapon Hologram Ver. 1 will display the original weapon, while Weapon Hologram Ver. 2 will display the weapon after Formchange. -- During the "Save the Lillipan!" E-Trial, the Gilnas becomes immune to damage while Dark Blast is active. Last edited by Altiea; Feb 10, 2019 at 03:52 AM. idk why bumped didnt post some of the other tidbits like Zalure, Seasonal Foods and Support Fire issue (i didnt even know Support Fire was having problems). Yamato Factor increase is just lazy, not only did this Raid get a remake and a boost in the past theyre going to boost it again and increase the Yamato Factor rates that should have been increased a long time ago given this EQ barely shows up if at all anymore. I haven't ran mom and dad trigger yet but my assumption is that Deus Factor still ruins the loot pool on any materials that drops making Mother Factor a little more annoying to get. I'd say screw Ether Factor but Mana Reverie just seems so much cheaper to do but Dragon sort of not showing up as much either which is making materials from that more scarce so its a annoying balance for some of these high end affixes atm. Last edited by Kril; Feb 10, 2019 at 04:31 AM. One Fi/Hu god exists. Who might that be. I don't get the part about to get 1100 titles. Is it the required number for that 3rd Chronos Stone they talked about some time ago? 1400 possible for a new player...yeah good luck with that. RadiantAim: When did you get here? Some titles are hard to get, some not. 1100 titles will take a while but it's in no way impossible. It does require you to breathe PSO2 for a living though. Last edited by Lyrise; Feb 10, 2019 at 09:12 AM. 978...time to look closer to those +10 Ot weapon craft titles and suffer the speech bubbles spam of those useless npc Speaking of whitill it would be nice from sega to upgrade them to something relevant . Last edited by Masu; Feb 10, 2019 at 09:36 AM. Some titles are hard to get, some not. 5.000.000 kills almost impossible to get. Thanks god I almost finished this in time (Blitz Slugger, Floating Edges, Inferno Bazooka and Mic Stand left). Most of these weapons unaviable now too. Last edited by Zulastar; Feb 10, 2019 at 12:10 PM. Hit the beat, you beat! Challenge accepted since I'm on a fresh new account!